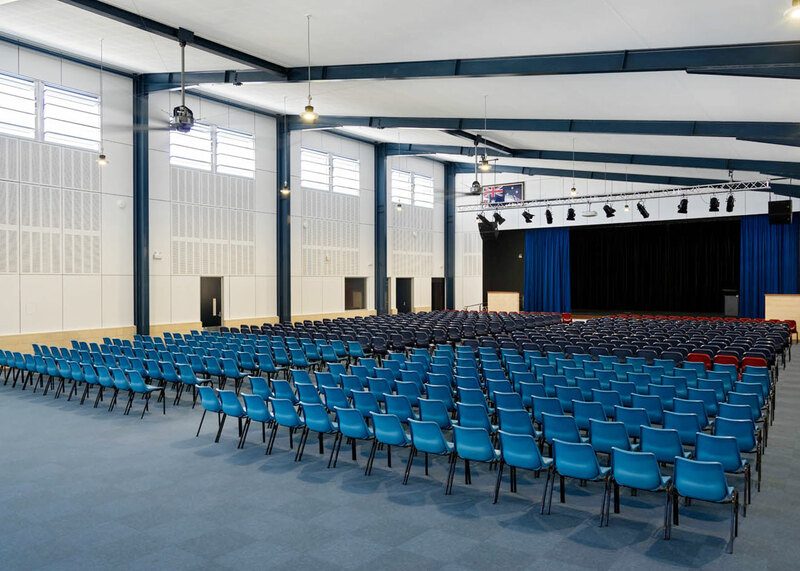 Redcliffe State High School’s new administration building and assembly hall gives the school a new formal entry for students, staff and visitors. Our work with DoE and the school included full architectural and interior design services for the project. A sheltered amphitheatre was created immediately adjacent to the hall — a breakout space and a strategy to reconcile site levels. The large, naturally ventilated volume of the hall has a steel portal frame structure. Metal sheeting is used as its lightweight cladding material and prefinished fibre cement was used for the administration building. A mixture of commercial and industrial glazing systems were used throughout. All materials were chosen to reduce maintenance and address the demands of the coastal location. 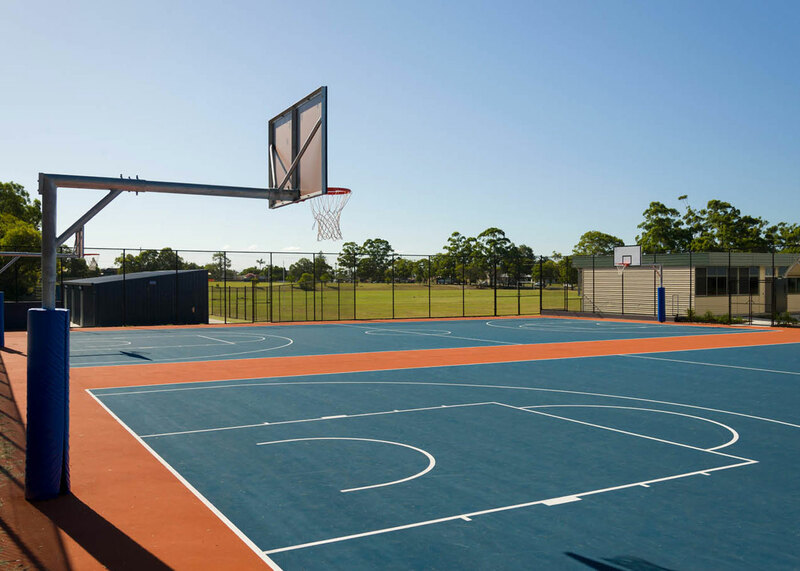 As part of the project, existing basketball courts were rebuilt within the school’s sports precinct. 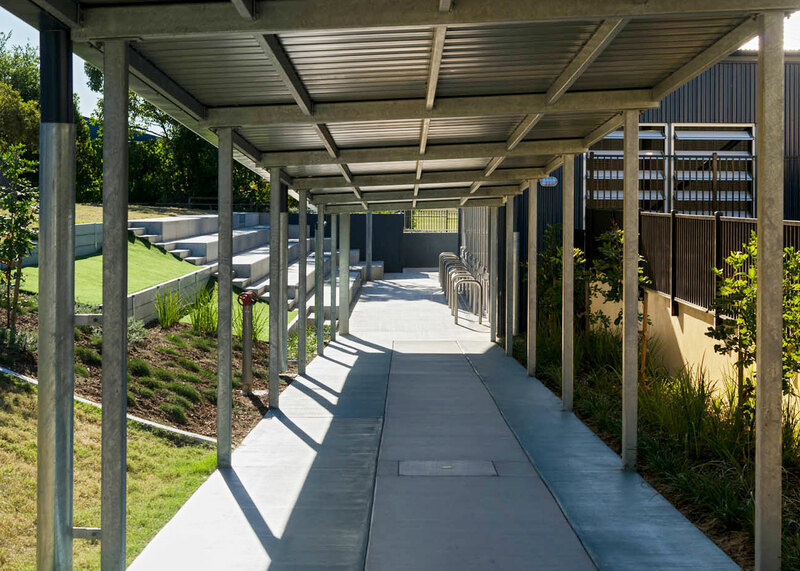 DR has also completed a master plan for the Redcliffe Special School, and designed for the school a new administration and teaching building with 10 GLAs, administration and therapy facilities.